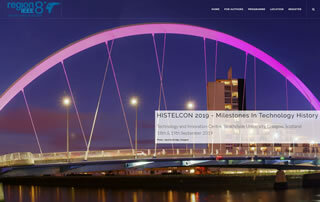 HISTELCON 2019 will be in the IEEE UK and Ireland Section, in Glasgow, Scotland on 18th and 19th September 2019. The primary theme is ‘historic computers’ with an aim to include papers on those inventions and developments which have not already been the subject of extensive historical publications, and to include the contribution special purpose processors have made to the development and use of advanced digital signal processing methods in many applications areas. HISTELCON is an IEEE Region 8 conference covering topics in the area of Technology History. HISTELCON 2019 will be in the IEEE UK and Ireland Section, in Glasgow, Scotland. The proposed primary theme is ‘historic computers’ with an aim to include papers on those inventions and developments which have not already been the subject of extensive historical publications, and to include the contribution special purpose processors have made to the development and use of advanced digital signal processing methods in many applications areas.